Ampeg's BA-108 8" Bass Combo delivers classic Ampeg tone and performance-driven features in a highly-affordable package ideal for practice. This amp is perfect for small spaces, especially with the new 60-degree monitoring angle delivering unmatched clarity. 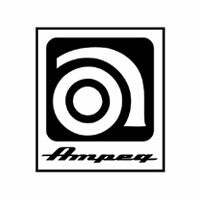 If you have any questions, give us a call or stop by our Ken Stanton Music Marietta, Woodstock, West Cobb or Stone Mountain locations to check out and save on a new Ampeg BA-108 v2 bass amp today.